Glass is the healthiest material we can use to ingest water or any other liquid. The vast majority of plastic bottles give off substances and agents toxic to our body and, in addition, the more times we reuse the bottle and the longer it goes exposed to the sun or changes in temperature, more harmful substances will be ingesting. 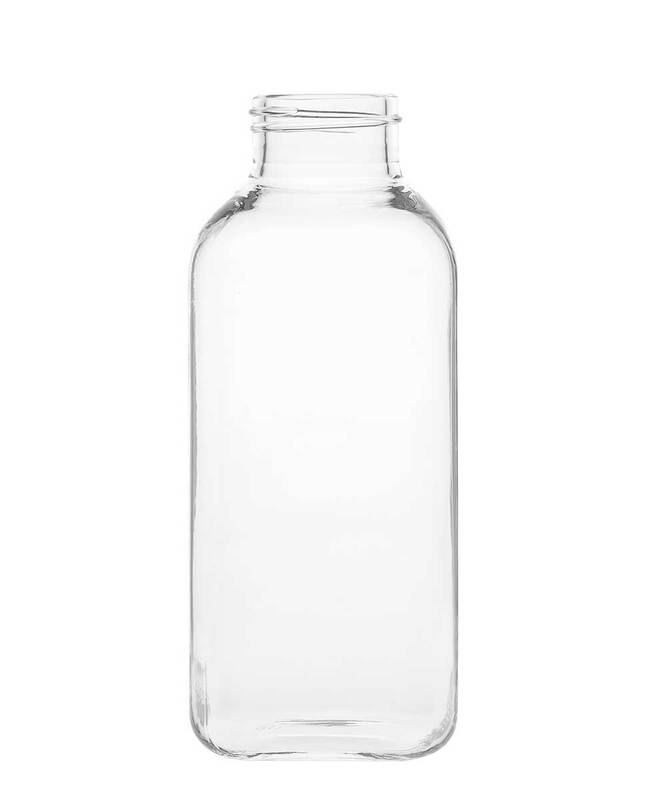 The glass of our nuoc bottles is manufactured using a handmade process with high quality borosilicate glass. For this reason and by its design of square forms each nuoc bottle is unique and different. Borosilicate glass does not contain heavy metals or other toxic substances, which makes nuoc the perfect bottle to drink any type of drink. Borosilicate is a 100% recyclable, tasteless and odorless glass, the lightest on the market, lighter and brighter and, most importantly, despite its lightness, it is the most resistant glass to temperature changes, supporting both, heat such as cold (boiling water / ice) which makes its useful life longer than that of other types of glass. 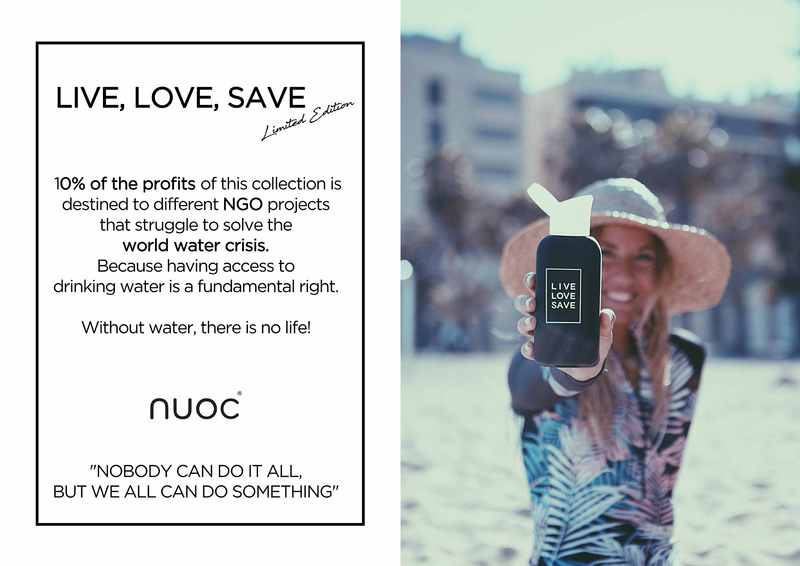 Nuoc is one of the lifestyle glass bottles with less weight on the market, 140 g. (270 g. silicone sleeve and cap included) making it more practical and comfortable to take with you daily and anywhere, because to nuoc the most important thing is that you can Hydrate you anywhere and anytime in the most healthy and comfortable way. Hence its wide mouthpiece with which to drink in a more comfortable and simple; Very practical to be able to easily fill it both water and any other liquid. NUOC was born 1 year ago, but the idea began to take shape on one of our last trips through Southeast Asia, where we realized that we went everywhere with a plastic water bottle in hand (something normal in these countries where The heat is suffocating and, unfortunately, they do not have access to drinking water). On that trip we were even more aware that something as common and vital as drinking water generates large quantities of plastic that we saw lying around. Few plastic bottles are reusable. The plastic bottles generate a great environmental impact. Each bottle of non-recycled plastic takes up to 700 years to decompose. It takes 10 million liters of oil to make 100 million bottles and in the US alone. Throw up to 60 million plastic bottles a day, about 22 billion a year. Most (more than 70%) of the plastic water bottles are not recycled and part of them end up in landfills and another part ends up in our oceans, where they will never be degraded and where they endanger all marine fauna . We also tell you the good news! NUOC. Thank you for helping to protect our Planet! NUOC collaborates in different projects with NGOs struggling to solve the global water crisis. Because access to drinking water is a fundamental right. Without water, there is no life! 644 million people still live without water? 1000 children die every day from water-related diseases? 10% of the world’s population lives without clean water?